1. Rinse pears then cut them in half. 3. In a separate bowl mix half portions of the cinnamon, and full servings of the walnuts and honey. 4. Proceed to mix until walnuts are completely covered in honey. 5. Preheat oven to 350 degrees. 6. 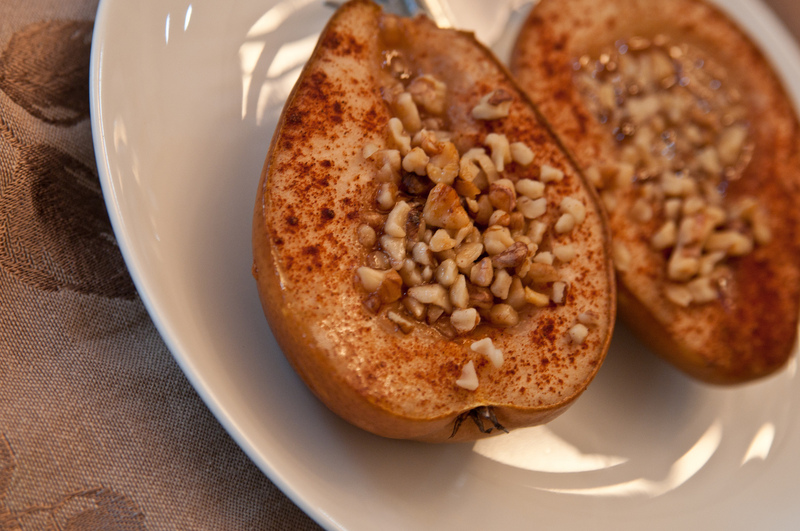 Fill the pears with the walnut mixture and place in the oven for 30 minutes. 7. Sprinkle pears with the rest of the cinnamon when taken out of the oven. I hope to try these this weekend. Thank you! Thats great! it doesn’t take much time before these tasty treats are done. We made these yesterday and they were SO GOOD. Of course we had to try them with whipped cream, which was fabulous. Thanks again for this recipe. That’s Great try it with a scoop of vanilla ice cream next time!